This is one among the many photos that I clicked at Mughal Gardens, Srinagar. Sometimes, we find ourselves unable to breathe properly. We find ourselves confined to a space and we impose restrictions on ourselves. We assume and take things in our hand and console our hearts that the self imposed imprisonment is for the best. It is sad to think that many people are pushed to a corner and forced by others to live in restricted quarters. What is worse is when we force ourselves to do so. When we are young our elders choose to instill in us a sense of fear to inculcate discipline and to avoid unnecessary explanations. Without realizing (their folly) we tend to narrow down out vision and learn to make ourselves happy with what we have. As we grow up, we do come across some mentors who would enlighten us encourage us to break free from all restrictions to lead the life that we want, in a manner that we desire. Once we start broadening our minds and thinking beyond the horizon and visualize how it would be to break free, we set out with hopes and dreams of jumping out and flying high. Life is not a fairy tale. Sometimes we win, sometimes we lose. Sometimes we are totally clueless as to whether the situation would do us good or if it works the other way. Some people tend to give up and get back to square one. There are a few out there who are resilient and rise from the ashes with more determination to succeed and overcomes the obstacles. In the end, some people succeed in accomplishing their task. Some people don’t. Some people keep trying. A few people don’t. But do you know what matters the most? It isn’t the thought of winning or losing. It is about how we take failures, how we learn from mistakes; our mistakes and others’ mistakes, and how we fight with the right to ward off destiny throws at us. We might not end up where we think we would, but to think that we’d put in efforts to ensure that we work towards it is far more heartening than to carry a lifelong regret for refusing to take that one big step, on the judgement day. Though provoking post and a little confusing as well. BUt best wishes for the remaining posts. I think these lines beautifully sum up the entire post… and these days this is the best kind of advice for me. Right HOW OLD ARE YOU ? Says it all.. SO VERY TRUE.. winning is EASY .. its the losing that is an ART.. in a race if you look there is just ONE winner ALWAYS.. and 99% of the racers FAIL.. same in life majority fail but what we take from that failure , how we work hard and learn .. is what makes us what we are ..
Thought-provoking one! Phoenix, one of the mythological bird, dies and comes up from its own ashes as a new birth! May be there is a lot to learn from this mysterious character. We fall for our own mistakes, we reduce ourselves to ashes but the main part is that we don't come out from our mistakes as a stronger version. Life has several twists and turns for us which we can't avoid and should be handled carefully. Liked it a lot. Expecting your remaining challenge posts! “It is about how we take failures, how we learn from mistakes; our mistakes and others’ mistakes, and how we fight with the right to ward off destiny throws at us.” Gist of life, I think. Failures are not obstacles, they are opportunities that will enable us to reach our goals faster. What's important, however, is not giving up immediately after a failure. I have the same ask as the Blogger who commented here first. How old are you? 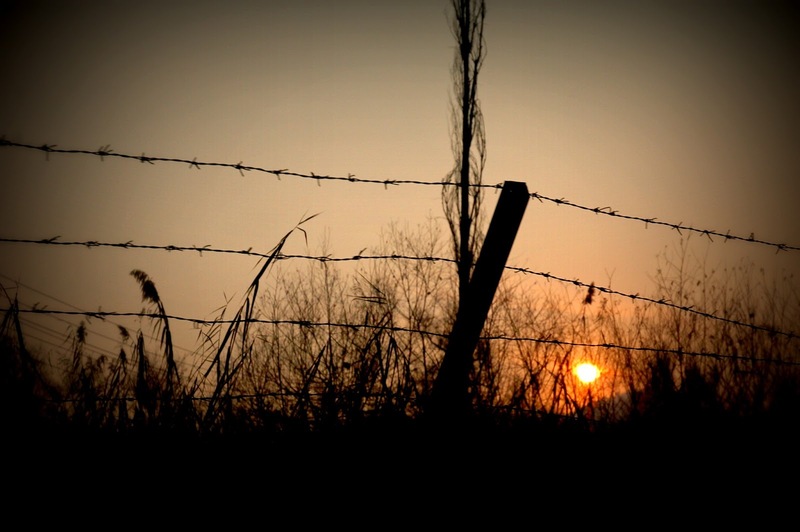 The special thing one can read in the picture is that the Sun cannot be shackled behind barbed wires!! When it come s to breaking free, I always think of “Jonathan, the Sea gull”. The audacity of youth to break the shackles and apparitions of boundaries and confinement to fly beyond, higher and higher. Once again pretty wise thoughts and it is all the more special if you are young. nice one..very profound advice…its our reaction to the happenings in our life that decides our destiny.. Thank you 🙂 Yes it's always nice to have a balanced view of things! Yes, someone said that we might win with an aggressive approach, but we should also loose in an elegant way. Thank you Saru. Yes, it is difficult indeed, but not impossible. After all, the good things in life are always hard to get by! Exactly. We learn how to take good decisions only if we make wrong decisions in the first place. Thank you Sir. Yes, we should first dare to dream, we shouldn't restrict ourselves with anything! Thank you 🙂 Glad that you noticed what I was trying to convey through my Pic. Thank you Jayshree. Yes, we take the freedom we are given for granted and only on seeing what's happening around, do we realize how gifted we are. Simply beautifully captured shot…nice thoughts too! Nice post as always !